Let’s get a couple things out of the way: though Zack Snyder directed, there’s no slow motion; yes, Superman punches lots of stuff; the trailers didn’t give away the entire movie; there’s nothing at the end of the credits, I waited so you wouldn’t have to; Superman’s suit isn’t made of nanobots a la New 52; and Man of Steel is an awesome movie. I wasn’t sure how much involvement Christopher Nolan was going to have in the final product, but his touch and sense of slightly grounded reality could be felt throughout the entire film. I know that’s a little contradictory considering the movie is about super powered aliens, but Man of Steel had a humanizing element that I’ve never seen in a Superman movie before. Man of Steel is about identity, and finding your place in the world, something everyone can relate with. Henry Cavill turns in an amazing performance as Superman and Clark. He portrayed Clark as a believable confused and wayward man. Amy Adams was serviceable as Lois Lane. She didn’t bring anything different, good or bad. Anyone else could have filled the role, and this is coming from a guy who has a thing for Amy Adams. Clark’s fathers, Jor-El and Jonathan Kent, factor heavily into the story. Jor-El was portrayed by Russel Crowe. As any Superman fan knows, Jor-El dies with Krypton. 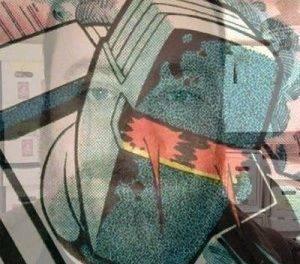 Seeing Crowe was cast as Jor-El, I knew we would see him beyond his early death. He was used smartly, if not a little omniscient. I know many people got hit right in the feels with Pa Kent’s (Kevin Costner) line from the trailer “You are my son.” Even knowing exactly when it was coming, I was still choked up. We see several times during the movie how Pa Kent raised his son right, while showing how hard it is to be a parent, let alone Superman’s. Lastly, Micheal Shannon lived up to Terrance Stamp’s legacy as Zod. As the third person to portray Zod (Callum Blue on Smallville), he left a distinctive mark on the character much like Stamp. Zod’s drive was convincing as the crazed general. As I stated in my opening line, Zack Snyder directed. I was half expecting there to be some slow motion in the movie, but was relieved to see there wasn’t. Instead, almost every scene was filmed with a shaky camera. This was either not noticeable or absent during the action scenes, but a little annoying during slower, dialogue heavy parts. I understand it being a stylistic choice, but it was completely overused. Speaking of the action scenes, they did not disappoint. There was a lot of fighting during the third act, and every strike had weight. The battles showed the type of incidental damage one would expect from such combat. It was almost a little too much, considering how much Superman caused himself. I find it hard to believe he didn’t kill or hurt at least half a million people. Just to clarify, while the action fun to watch, I thought the 3rd act showdown was anticlimactic and it left me wanting. Superman’s powers were done well in general. We see him learning to adjust to them as he grows, and even learns a few new tricks as an adult. This is done equally well with Zod as he discovers his abilities. One little detail I noticed was Superman’s facial skin rippling as he flew quickly, or against a…let’s call it a laser beam. As seen in the trailer, when he takes flight, the environment around him is affected, again giving weight to his abilities. While there is no Kryptonite by name in the movie, what I did see was a creative explanation for why his home or parts of it would weaken him. While I liked the plot involving Krypton, updating much of it in interesting ways, I found the aesthetic design abhorrent. Krypton was always shown to have a red sun along with a craggy, mountainous surface and depicted as such. Beyond that, I felt like was lifted from Avatar. Most of it was odd and felt different for the sake of being different, an added element that needlessly detracted. Plus, Kryptonian fashion is odd. I liked Jor-El’s battle armor, and thought the helmets were neat, but the armor looks like it was lifted from Gears of War. I’ve heard some complaints about Man of Steel being too dark, but I didn’t think it was in bad taste. Comparatively, it comes nowhere near the Batman trilogy. Superman’s character is about strength and inspiration. That was a message that came across to me, albeit not loudly. Man of Steel is a good movie. Is it the Superman movie we always wanted? No, but definitely a strong step in the right direction. Here’s hoping it hits whatever magic number Warner Bros. wants so more DC movies are greenlit. What did you think of Man of Steel? Agree with my review? Comment away! I now have a thing for Antje Traue. Tony has a lot more to say about books, movies, video games, comics, and board games at thecredhulk.com. Please give him a Facebook like (only two more to 50!) or follow on (or teach him how to use) Twitter. As a non-Superman fan, I thought it was rad. Although you make some good points I have to disagree with you on one. It IS the Superman movie I’ve always wanted. I’m not heavy into the original films at all. I do recognize their place, but find them more campy than cool. But having never been a Super-Man fan and thereby going into the film with no baggage or expectations, think it was the best Superman movie of them all. I believe a lot of people had high expectations, thinking this would be Warner Bros. answer to the Marvel franchises. I completely agree that this is the best Superman movie, I just think there’s room for improvement.